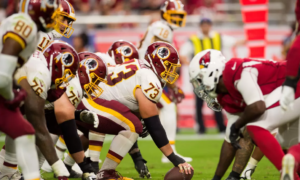 The Washington Redskins are headed to London this week to take on the Cincinnati Bengals in a game that is tied for the fifth highest over/under of the week. 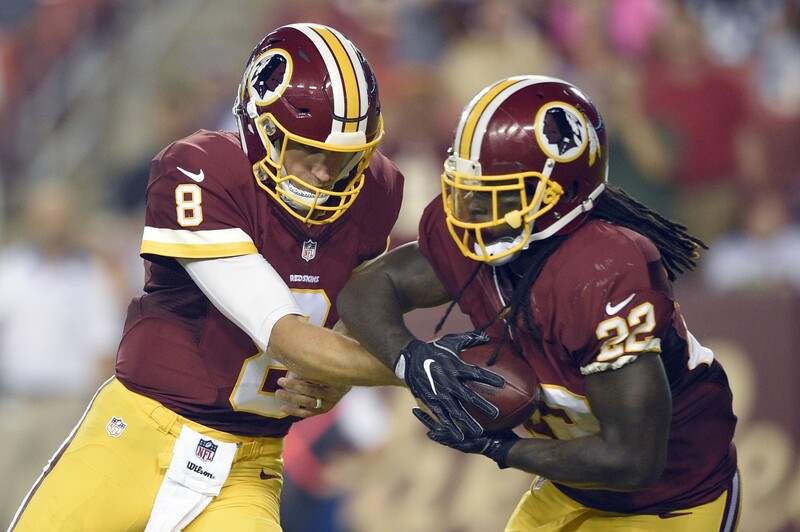 Washington will be without starting running back Matt Jones, but will get a boost if Jordan Reed and Josh Norman continue to recover from their concussions. 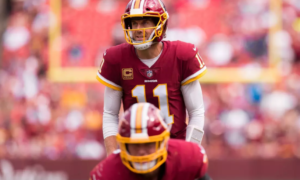 Since this is an early game (9:30AM EST kickoff), make sure to play the early slates on daily sites if you wish to include any Redskins players in your lineup. Now let’s take a look at which Redskins players should be considered in daily fantasy football for Week 8. Cousins has scored fewer than 17 fantasy points in just two games this season and thrown at least one touchdown pass in six straight games. On the other side of the field, the Bengals have allowed the fifth most fantasy points to quarterbacks. They have allowed only three quarterbacks to throw for more than 250 passing yards, but one of them was Trevor Siemian, whose 201.8 passing yards per game currently ranks 31st. Every quarterback that they have held under the 250 yard passing mark is averaging less than 250 passing yards on the season. Cousins hasn’t reached 22 standard fantasy points in any game this season, but his low price and plus-matchup puts him in play as a cheap option in all formats. With Jones out, Kelley will take over as the starting running back this week. Kelley scored his first NFL touchdown last week and has flashed his ability on the limited touches he has received thus far. He will be up against the Cincinnati defense that has allowed at least one running back to reach double digit fantasy points in six of their seven games this season. The only game in which they held all running backs to single digit fantasy points was against Miami, when no opposing running back had more than eight touches. 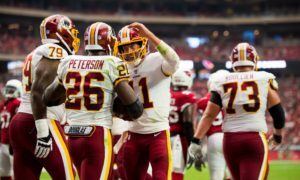 You won’t find any cheaper starting running back than Kelley on either daily fantasy site, which puts the Redskins new starter in play as a great value in all formats. With Jones out, Thompson will also see his role increase, after spending most of the season as the third down back. Much of his value comes from catching passes, which gives him a boost on DraftKings where he gets a full point per reception. The Bengals have given up four or more receptions in a game to four running backs already, and Thompson caught seven passes last week. 23% of receiving fantasy points allowed by Cincinnati have come from the running back position this season. Because he won’t be handling the bulk of the carries, his floor is lower than that of Kelley, and therefore he should be avoided in cash games. However, at the cost of only 7% of the salary cap on Draftkings, he makes for a cheap tournament play. Crowder currently leads all of the Redskins pass catchers in both receiving yards and touchdowns. He has scored in the double digits on DraftKings in six of seven games, and already has four games with four or more receptions this season. Along with the rest of Washington’s pass-catching corps, he will have his work cut out for him this week against the Bengals, who have allowed just three opposing wide receivers to top 75 receiving yards and haven’t given up a touchdown to a wide receiver in two straight games. However, the Bengals weakest point of defending receivers is the slot, where they have given up 44% of fantasy points to opposing receivers. That bodes well for Crowder, who has lined up in the slot for 70% of his routes this year. He makes for a great value play on DraftKings, where he costs just 9% of the total salary cap. Reed will return to the field after missing the past two games with a concussion. Prior to that injury, he was averaging 6.6 receptions per game with 50 or more receiving yards each week, and two touchdowns on the season. He is back just in time to face the Cincinnati defense that has given up 40 or more receiving yards to four different tight ends of their past three games, and has already allowed four touchdowns to opposing tight ends this season. Because of his high price and the uncertainty around his health, Reed is best left out of cash lineups this week. However, his ability combined with the plus-matchup and the likelihood that he will go underowned make for a possible edge in tournament lineups.